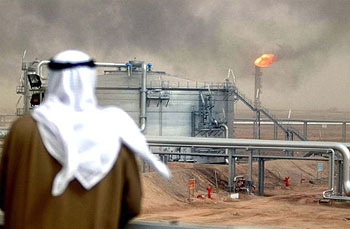 The cables, released by WikiLeaks, urge Washington to take seriously a warning from a senior Saudi government oil executive that the kingdom’s crude oil reserves may have been overstated by as much as 300bn barrels — nearly 40%….According to the cables, which date between 2007-09, Husseini said Saudi Arabia might reach an output of 12m barrels a day in 10 years but before then — possibly as early as 2012 — global oil production would have hit its highest point. This crunch point is known as “peak oil”. ….The US consul then told Washington: “While al-Husseini fundamentally contradicts the Aramco company line, he is no doomsday theorist. His pedigree, experience and outlook demand that his predictions be thoughtfully considered.”….While fears of premature “peak oil” and Saudi production problems had been expressed before, no US official has come close to saying this in public. There’s always Iraq, of course, which certainly has more production capacity if it can develop it, but Saudi Arabia increasingly looks like it’s peaked already. And if that’s true, it probably means that the global peak in production, which was delayed a few years by the 2008 recession, is most likely not too far away. Our future is going to be increasingly oil free whether we like it or not.